If you like learning about what motivates people and want to study bullying prevention, what type of a degree do you need? Sociology and psychology are both fields that look at the motivations and other reasons behind problem behaviors. While more than one educational path can get you to a career that helps to prevent bullying, there are some fields of psychology that will prepare you best for this type of job. While it is possible to get into a graduate program in psychology without a related bachelor’s degree, you will stand a better chance of getting into a great graduate program if you complete a bachelor’s degree in psychology or a related social science. Classes in research and human behavior will help to prepare you for graduate studies, especially if you plan to choose a program in social psychology or a similar, research-based field. Specific studies, such as bullying prevention, are usually chosen as a research focus by graduate students in psychology or sociology. Social psychology, the study of human behavior within a specific social structure, is most likely the best fit for someone who wants to study bullying for the purposes of prevention. Through a variety of research methods, research psychologists study societal issues, such as bullying, and develop ways to address or prevent them. If you want to study bullying specifically, it will help to apply to academic programs that have ongoing studies on this topic. If you cannot find or get accepted into programs with bullying studies already in progress, it will help to find a program run by instructors who are interested in social interactions and behaviors including bullying. Today, there are many opportunities to study human behavior as it relates to modern technology. The study of bullying has grown as we have seen the development and increase of cyber bullying in a variety of online platforms. Other changes in society also create new opportunities for researchers. An increase in school shootings, for example, creates an interest and a need to study factors related to school violence. One of the best ways to get into a research psychology program is by having a clear research goal in mind. If you are interested in the prevention of bullying, read the research that is currently available. Also, keep up with current news concerning bullying. Then consider what issues have not yet been studied or addressed by researchers. When you find something, begin thinking of ways to objectively study and measure various criteria that may be related to bullying. As you formulate these ideas, be sure to consult an instructor or advisor for guidance. A great prospectus on a relevant topic such as bullying may be just what you need to get into your preferred graduate program. 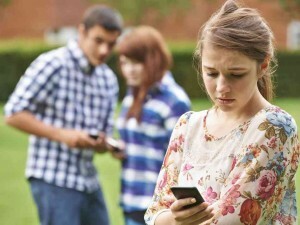 From the elementary playground to Facebook, bullying is a serious problem today. If you have a tender heart and a passion for learning what motivates others, you might consider a career in bullying prevention. The path to such a career is long, but this is a place where innovative thinkers could make a huge difference in our world.